Over the years, I have noticed that in the Arab market in the Old City, no women work in any of the shops. It matters not what the shop offers for sale, no women work there. 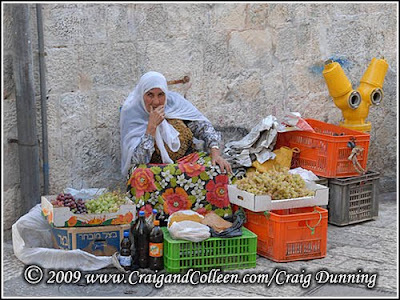 However, in the walkways – in front of the shops or other areas of the Old City – it is common to see women selling things from their gardens: grapes, grape leaves, olives, green almonds, etc.